← Picture of the Week: Big Boss Brewery! 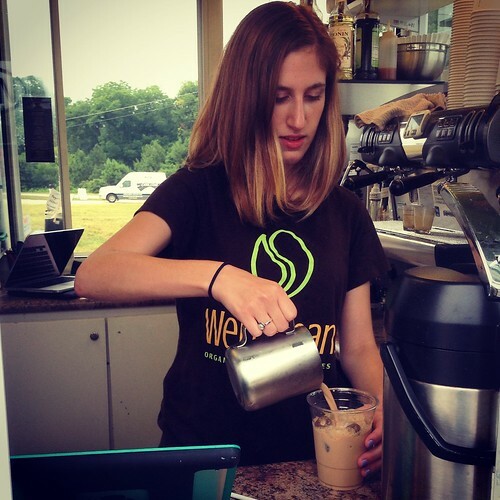 Well Bean Coffee ~ Coffee On The Go in Wake Forest! 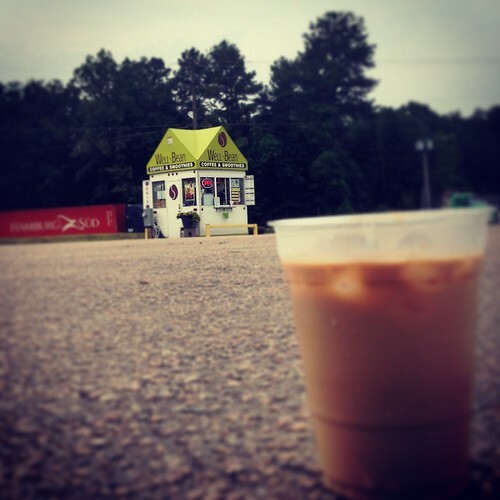 Well-Bean Coffee is a fun new coffee kiosk located on the corner of Burlington Mills Road and Capital Boulevard in Wake Forest just across the street from Crossroads Ford (map). What sets them apart from other local coffee shops is they are a drive-though service featuring locally roasted organic coffee, espresso drinks, teas and fruit & protein smoothies. It is a perfect stop for commuters because it is right off Capital Boulevard and you don’t even need to get out of your car to get your coffee. Just pull right up to the the window to place your order and within a minute or two you are on your way with drink in hand. For those in an even bigger hurry, Well-Bean just released a a new app so you can place your order in advance so they can have your drink ready for you when you arrive. I paid my first visit to Well-Bean a couple of weeks ago on a particularly warm day so I opted for iced latte. I was really impressed with the wide variety of drinks they offer. I like whole milk in my iced latte, but was happy to see they also offer soy and almond milk for those looking for dairy alternatives. In addition to a full lineup of coffee and espresso drink offerings, Well-Bean also sells a number of healthy shakes and smoothies including gluten free and paleo-friendly options. You can view their full menu here. The baristas at Well-Bean are super friendly and skilled at making great drinks. I was really impressed with my iced latte and a cappuccino I ordered on a subsequent visit. Their drinks easily rival those found in some of my other favorite coffee shops around the Triangle. I really like the healthy aspect of the business with its focus on organic coffee and gluten free and paleo-friendly options. 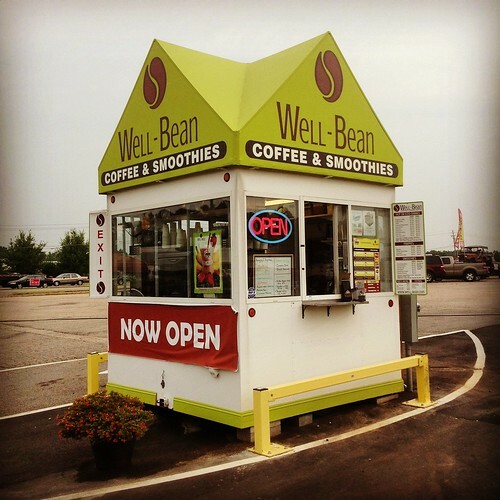 If you are looking for a new place to pick up a great coffee on the go without compromising quality and enjoy supporting locally owned business keep an eye out for the little green Well-Bean sign the next time you are driving down Capital Boulevard. Well-Bean is open 6am-5pm Monday through Friday and 8am-4pm on Saturday & Sunday. For more information about their coffee and the services they offer check out their website here. Their latte is great! I love the almond milk option instead of soy too! Enjoy the coffee posts. Hope I can make it up there.